Are we all going to the same place? If all religions were standing at the base of the mountain on a journey to the top, will they all see the same thing? All denominations, all religions, all sects seek to be the one…the one truth. So people window shop religions looking for the right fit which is just as materialistic as buying a designer bag instead of the purse that fits the need. A priest, a rabbi and a Baptist pastor (I swear this is not a joke) are on a prominent news show talking about how equal we all are in the search for the same thing – however, no one actually said what that is but my suspicion is their quest for nirvana….‘everybody get together, try to love one another right now…’, you know the rest. The priest said that instead of burning books, perhaps we should read them; we might learn something. I say that it would be very beneficial if the priest would actually read the Bible. The rabbi believes yoga should be in every synagogue. The Baptist pastor thinks Jesus was a comedian; she couldn’t quite get the revelation of the camel and the eye of the needle but thought it was darned funny. Their remarks are not credible, they don’t have the revelation that Christ died that they could be saved and they are leading their congregations off the plank in the middle of the ocean left to be shark bait. But hey, welcome to moral evolution and designer religion! It’s to die for! The Church forgot all about Jesus. 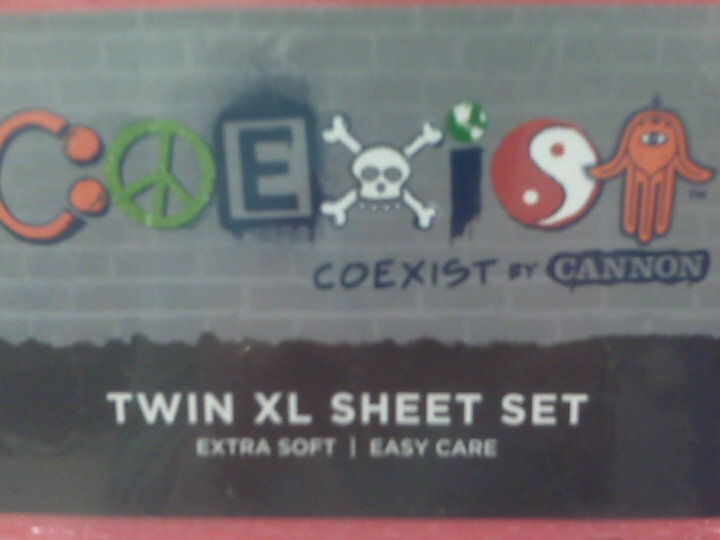 Co-exist? Not in my House. ← More from the Nothing Pit.